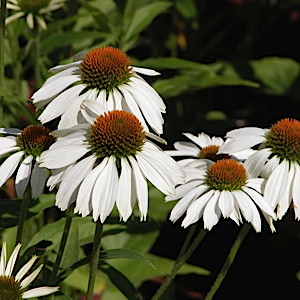 Ample white petals surround large greenish-bronze cones from July to September in this white version of native E. purpurea. Flowers look great whether cut or dried and seed heads attract birds in winter. It prefers average garden conditions and is drought-tolerant when established.